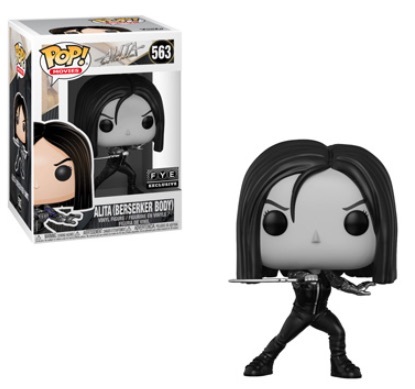 Based on Yukito Kishiro's cyberpunk manga series Gunnm, Funko Pop Alita Battle Angel applies the vinyl style to the star of the 2019 film. The line offers multiple versions of the title character, Alita. Directed by Robert Rodriguez and produced by James Cameron, Alita: Battle Angel follows the story of a cyborg with fighting skills. The heroine, who has no memory of her past, is played by Rosa Salazar. 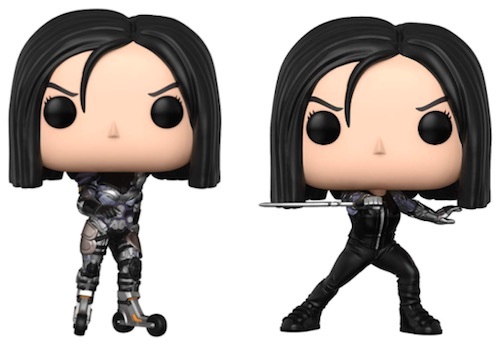 Centered around Alita and her potential to change things, the dark-haired Funko Pop Alita Battle Angel figures make use of several body styles. 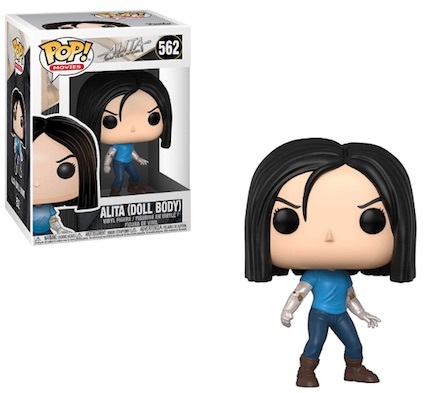 Shop Funko Alita Battle Angel Figures on Amazon. Part human and part robot, Alita has the same head on multiple bodies and poses in the initial wave. Wearing all black, her "Berserker Body" is armed with a knife. This same figure also comes in a black-and-white exclusive at FYE. As the most robotic-looking option, the "Motorball Body" utilizes futuristic rollerblade feet and is covered with extra protection on the torso and legs. In addition, the "Doll Body" version is the most subtle of the bunch, wearing blue jeans and a t-shirt. Only her robot arms give her away. 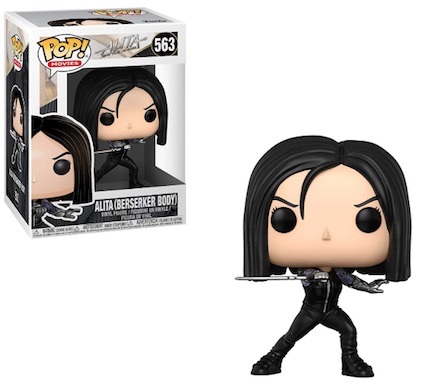 Funko Pop Alita Battle Angel builds on the Pop! Movies numbering. 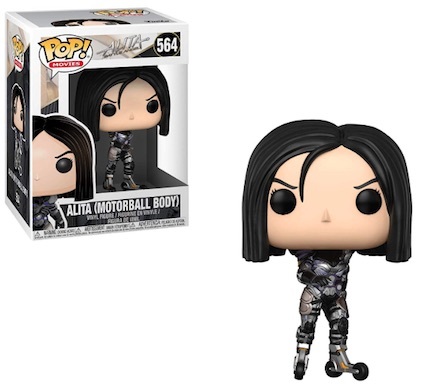 Alita: Battle Angel - Alita Motorball Body Pop! Vinyl - FunKo Free Shipping! Funko Toys POP Movies Alita Battle Angel Motorball Figure #564 POP! Funko Pop! Zero in Doghouse Glow CHASE Movie Moment Box Lunch Exclusive IN HAND!